Transcript: Today's guest comic is by Lauren. 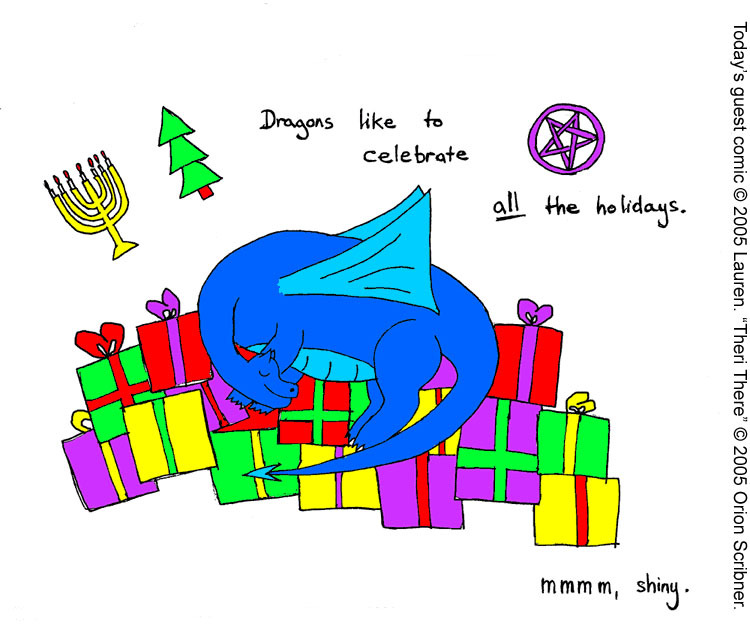 A contented dragon sleeps atop a hoard of colorfully wrapped gifts. Holiday symbols float overhead: a menorah, a Christmas tree, and a pentacle. The caption says, "Dragons like to celebrate all the holidays. Mmmm, shiny."